Weighing in at over 5kg, this is one of the largest and perhaps finest photobooks ever produced of Daido Moriyama’s images. 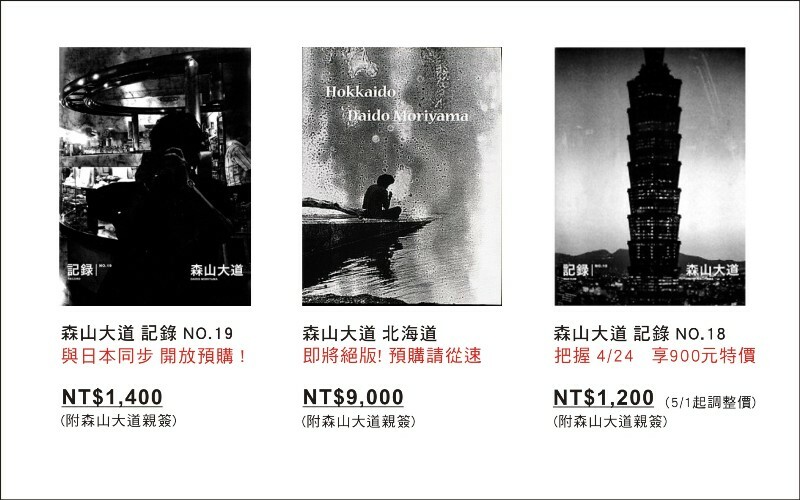 Contains beautifully printed photos from Moriyama’s stay in Hokkaido in 1978. Most of these photographs have never been seen before. Limited edition of 1500 copies. Showcases grainy, high-contrast street snapshots of Florence and other Tuscan towns taken by the leading Japanese photographer during a trip to Italy last year for his big retrospective show “The World through my Eyes”, held at the Fondazione Cassa di Risparmio di Modena, Modena. Showcases grainy, high-contrast street snapshots at Lin Sen North Road district in Taiepei City taken by the leading Japanese photographer during a trip to Taipei since 2009 and 2010 for his big retrospective show “The World of Daido Moriyama” held at the 1839 Contemporary Gallery, Taipei, Taiwan.